Peter Thornborrow commenced his lecture by sketching out the process in the early 1980s that led to the then Secretary of State Michael Heseltine to rapidly expand the number of historic buildings inspectors under the aegis of what is now commonly known as English Heritage. 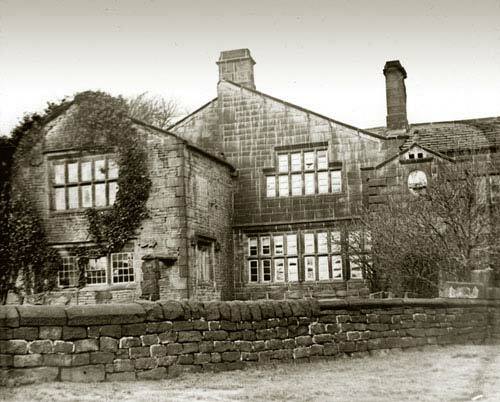 This in turn resulted in Peter Thornborrow, an ex-music teacher but with considerable interests in old buildings, being given the remit to look at amongst other areas, Stansfield, Heptonstall and Wadsworth. In the three months he was given for the survey he submitted successful applications for listing for over 700 buildings and structures. A considerable increase over the pre-existing 30 or so. Apart from the many buildings in the upper valley he also successfully submitted for listing familiar features like Reaps Cross (then collapsed but now re-erected as a millennium initiative) and Strines Bridge above the New Delight public House. He also successfully had listed individual components of the then derelict Rochdale Canal. During the time that he was a music teacher in Littleborough he had seen the policy in Lancashire of destroying the iconic Lancashire and Yorkshire Railways glass platform canopies as part of a 'simplification' of the stations. As a result, when he became the inspector, he had Hebden Bridge station included in the listed structures, giving the town a 'gateway' for visitors many envy. His lecture was illustrated with 35mm slides taken at the time interspersed with which were some of the late Ralph Cross's ethereal black and white images of interiors then derelict but now fortunately restored. The lecture was liberally punctuated with many many anecdotes both of a personal and family nature as well as relating to buildings and their occupants. Perhaps one of the most telling was the demise of the Great Barn at Greenwood Lee. Pronounced safe by the English Heritage structural engineer, it fell down less than a fortnight later or the mill which stood on the site of the Co-op supermarket. Due to be listed in ten days, it was demolished over a weekend. Emerging somewhat later than usual for a history society lecture it was impossible not to reflect on the economic benefits the listing of the railway station and the canal has contributed to the tourist and allied employment in the area. It was also rather enjoyable to see images of very youthful David Cant and Kevin Illingworth, two of Peters evening class students in the 1980s. They both, of course, have gone on to make very substantial academic contributions to the study of vernacular architecture both in West Yorkshire and beyond.